We took a recent trip to YBCA for a BAN7 planning meeting and managed to turn it into an exploration of back passageways and secret stairs. Ostensibly we were there to shoot promo video but we managed to convince 2 enthusiastic museum staff to show us their favorite stairs and stair-related structures around the YBCA grounds. Turns out you can make walking down a series of ramps into a game of exchanging high fives, there’s a welcome mat on the roof of the building, and the fountains outside the museum are also water stairs. All in all, a wonderful stair-filled afternoon. 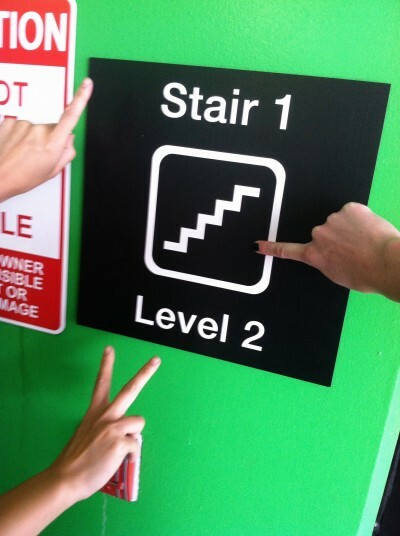 We’re excited to work with YBCA on BAN7 and to continue spreading the stair gospel!